Kids pick up the details of using computers and smart phones with almost no effort, but the way kids learn to blog might be a little different. A blog really serves as a convenient, online writing space. The only decision now is deciding what to write about. The advent of social networking and texting has lead to an entirely new type of communication. Kids have adopted unique ways of spelling and abbreviating words that still communicate a message. The problem with this is that it not only allows but encourages poor writing skills. If kids learn to blog, they will be required to write clearly and correctly. It doesn’t have to be fancy, just correct and understandable. A quick internet search will bring up lots of options for parents and teachers to create blogs. 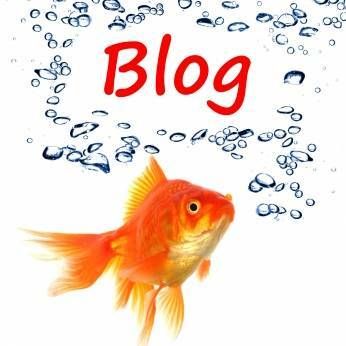 Once created by an adult, the blogs can be made public or private and shared with anyone. Any variety of topics can be chosen for discussion. As the kids learn to blog, they can begin to share classroom stories, family events, or reports on community happenings. Blogs is also a great place for kids to share a poem, or maybe a story they have written. This allows real feedback from an audience in a safe environment and can serve as a platform for these aspiring writers. Posts can even be dressed up with headlines or clip art. As a bonus, while kids learn to blog, they will be refining their typing and keyboarding skills. A page can remain private, between teacher and students only. Or, the administrator can elect to allow others to access and post as well. In most cases, the teacher will be the blog administrator and maintain full control over all the content. The internet safety precautions we are all already familiar with also apply to blogging. Statistics show the risks to kids on blogs are equal to that of any other internet usage. Boundaries should be set and strictly enforced. Although, if kids learn to blog on a public site, the rules about strangers are – well, strange. A public site allows and promotes discussion with strangers. In this case, a child should be supervised and reminded of the rules about sharing personal information. It is entirely possible to have a healthy blog exchange without revealing any personal information, such as name, phone number, school, location, etc. If kids learn to blog in a safe and supervised environment, it can be a very productive experience.